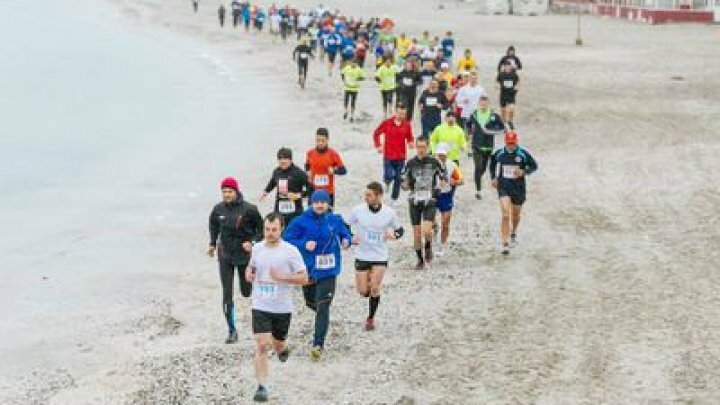 Some Moldovans attended the Sand Marathon in Constanta. The sportsmen say that this kind of sport is really hard, because it required two times more energy than running on a rigid surface. According to the specialists, running for one hour on sand burns eight hundred calories, as twice as many as than running on asphalt. Vitalie Gheorghita starts his day on the stadium. The sportsman says that he runs for a couple of years. Now, he can't imagine his life without sport. "At the beginning I liked the competence. I love running, it became a lifestyle", said Gheorghita. The man says he decided to participate at the Sand Marathon to check his abilities. After he run 42 kilometers, the sportsman ranked first. Vitalie says that the competition was hard, but it was worth the effort. "I will continue to prepare. Even if this winter was a hard one, I was running every day", said the sportsman. The sportsman wants to achieve more in this field. He says that he will participate at some other marathons the following months. Mihai Bizniuc is among the sportsmen who participated at the marathon. He run on a 21 kilometers distance and also ranked first. "I checked on my abilities on this competition", said Mihai Bizniuc. Mihai also wants to continue. He says the wished to win the Republic of Moldova Championship. "We will go to Brasov, Russian Trail, Iasi Marathon. In May we can go to Bucharest. Our target is to succeed at the Republic of Moldova Championship", said the sportsman. The sand marathon is the only marathon in Europe that takes place on sand. It is at its sixth edition. This year, over one thousand persons participated.